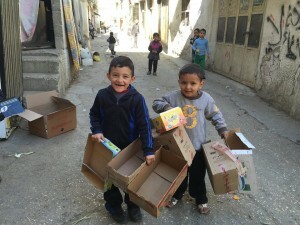 The Balata refugee camp in Nablus is the largest refugee camp in Palestine. It is home to approximately 75,000 people. Its older residents became refugees after the creation of Israel, and the Palestinian Nakba in 1948. The camp was founded in 1950 as a temporary home for people expelled from Jaffa. And yes, we should remember that before 1948 Jaffa was a Palestinian village and boycott Jaffa oranges. In 1948 almost a million Palestinians fled or were expelled when Israel violently took over large parts of Palestine destroying numerous Palestinian villages and cities. Balata refugee camp, which ISM volunteers visited recently, is different from other Nablus neighbourhoods. 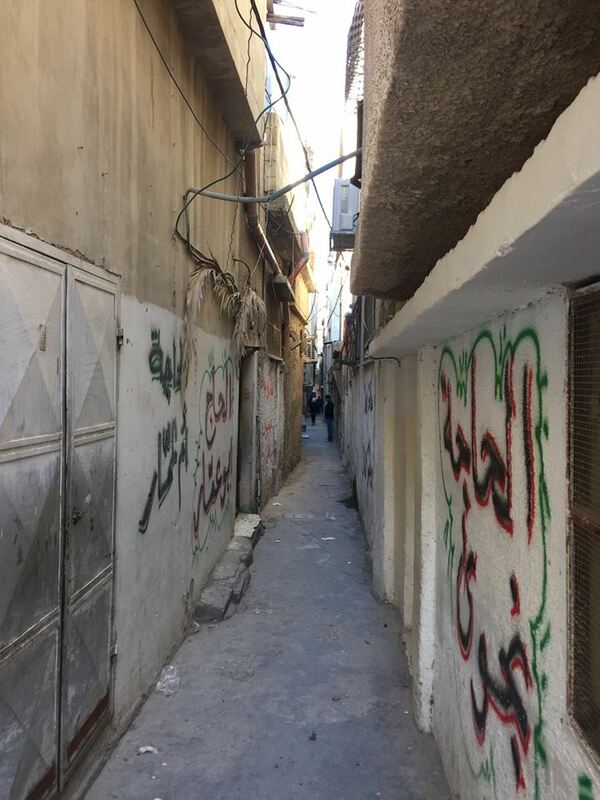 Balata is a town within the Nablus town, which expanded ‘inwards’, confined by the camp boundaries and under pressure to accommodate, over six and a half decades, its growing population. Not surprisingly, Balata is densely populated and overcrowded. 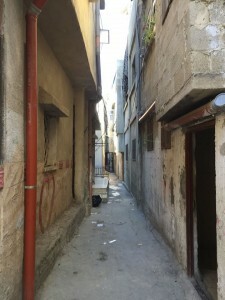 It has very narrow streets and spaces between buildings are often not wider that one meter. There are problems with the infrastructure such as water, sewage, electricity and transport because the camp was planned to be a temporary solution for the Palestinian refugees while they were waiting to return to their original homes. 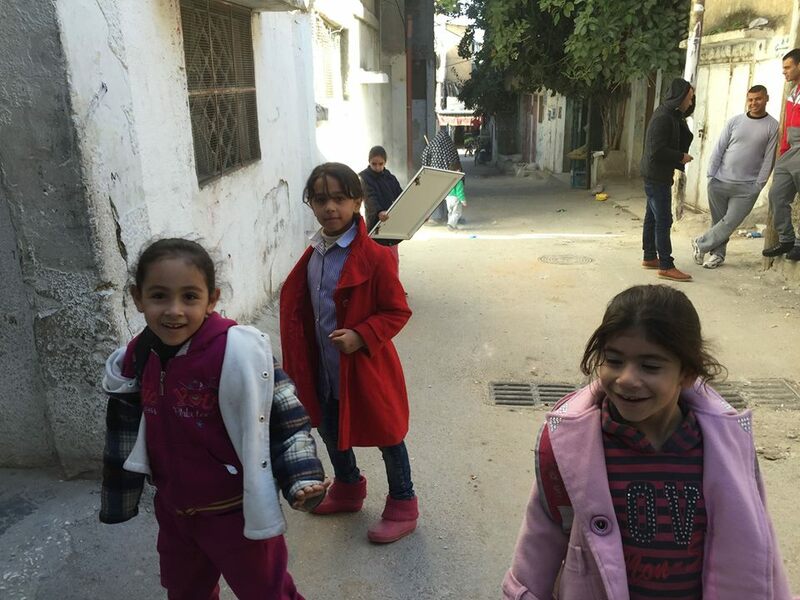 Poverty is evident in almost all refugee camps and Balata is no exception. Its residents do not enjoy the same opportunities for education and healthcare as the people living outside. High unemployment in the camp exacerbates further all other problems that people who live there face. The United Nations Refugee Works Administration (UNRWA), which was founded in 1948 as a temporary UN agency to look after ethnically cleansed Palestinians, is responsible for education and healthcare of the camps’ residents. They are totally dependent on UNRWA, because the Palestinian Authority has no responsibility for meeting their needs and they do not pay taxes to the Palestinian Authority. UNRWA funding for Palestine is decreasing and that leads to the approach that they do not have the same duties towards those who have been refugees for decades. In recent years and with the refugee population growing around the world, especially in the neighbouring countries of Syria and Iraq the priorities of international agencies and their donors are changing. While the camp population is growing and the economy is declining the conditions in the camp are becoming more and more difficult. 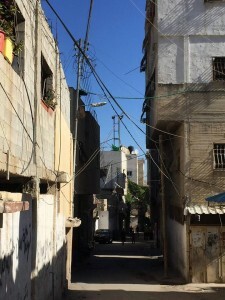 Balata refugee camp was known for its political activity and resistance in the First and Second Intifada in 1987 and 2002. Many national heroes fighting against the occupation came from Balata. 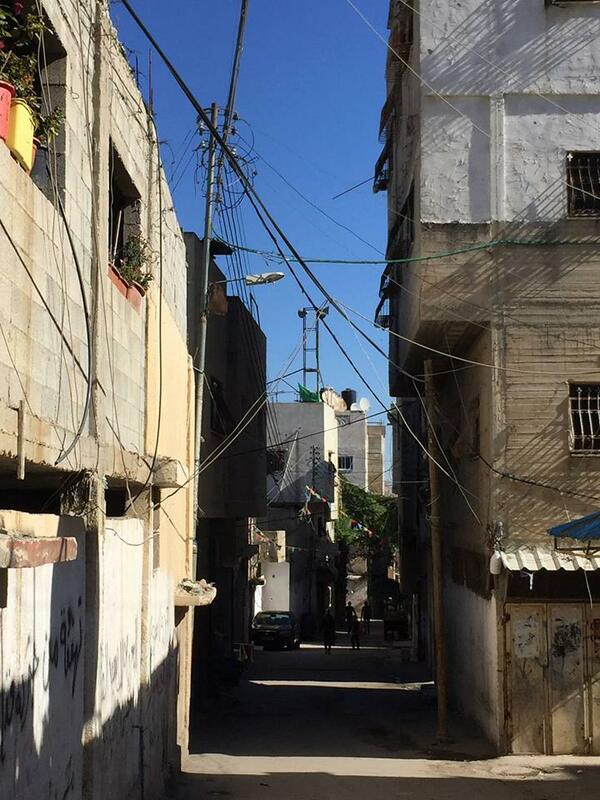 Unfortunately, today, people in Balata are suffering from internal divisions and conflicts. Such conflicts are an expected consequence of widespread poverty and the lack of opportunities for the younger people. It is easy to lose hope for the future of children who grow up in refugee camps. But, we met children who wanted to talk to us in English and asked for our names, ages, the countries we came from. It was a pleasure to interact with them. We also met a young cafe owner who has two brothers in prison for resisting the Israeli occupation. He told us that it was important to fight against occupation which controls every aspect of the lives of Palestinians in the camps and outside them.